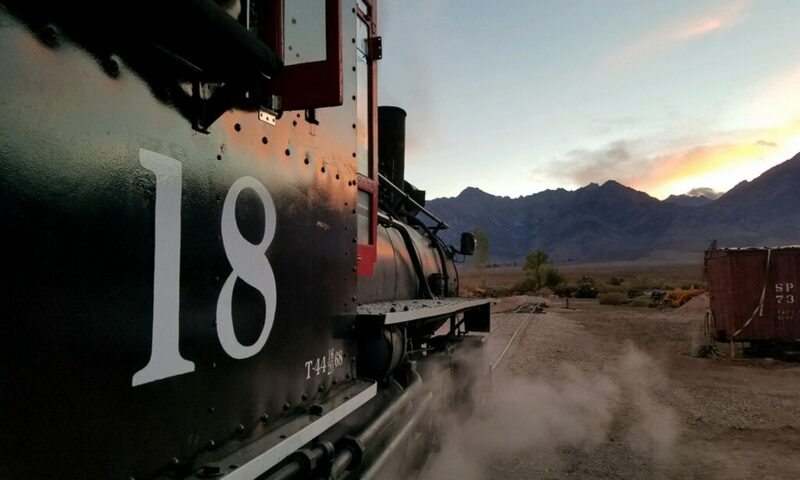 November 15 was an important day for the restoration, the FRA made their first official inspection and report of the locomotive. The on site inspection lasted about an hour and included an interior and exterior boiler inspection as well as running gear inspection. They were very impressed with the quality and amount of work that had been done so far and gave us the go ahead to install tubes. With the help of the FRA’s fancy inspection camera we did discover what at first glance appeared to be about an 18 inch crack in one of the firebox side sheets that we had not seen before. After a more in depth investigation it was discovered that it was actually a welded joint from an old railroad repair in which the weld had not fully penetrated, thus looking like a crack from the inside. In short, it is a relatively easy fix that our welder Robbie is already scheduled to take care of after the first of the year. 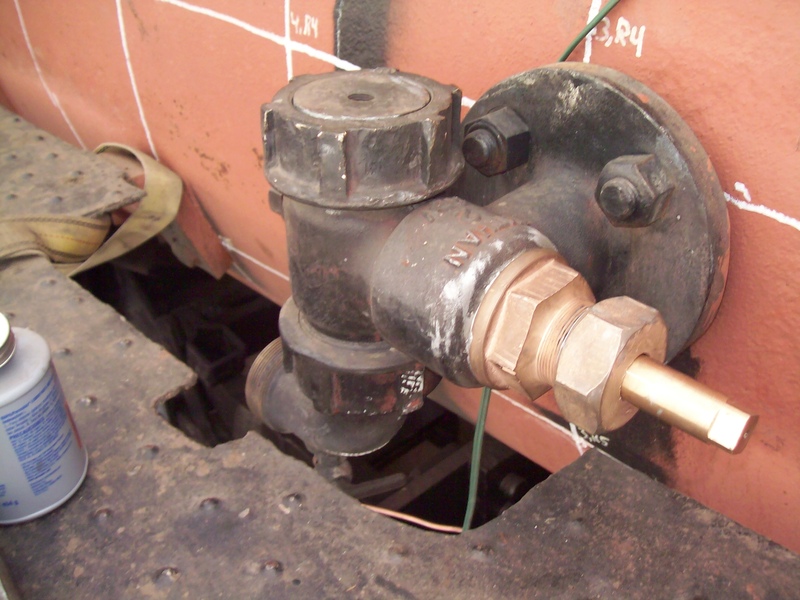 With things going well on the boiler side of the project, the photos below show the driver work is also moving along up at the Mt. Rainier Scenic RR. As of December, the #1 and 2 drivers are complete as are most fo the driver boxes while the #3 driver is scheduled to receive a new axle as soon as the material arrives at Mt. Rainier’s shops. 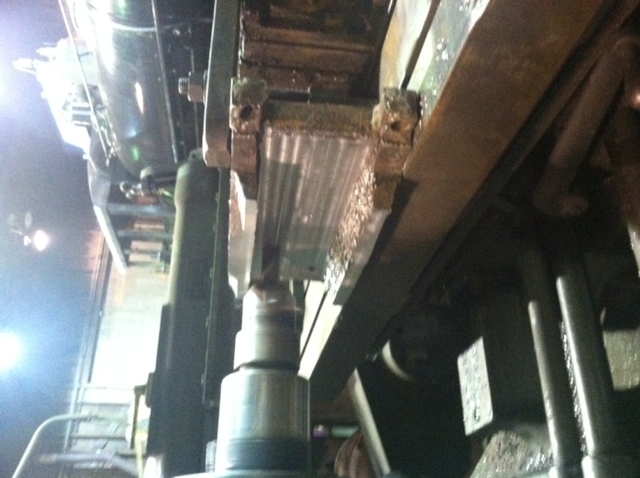 Machining the “jaws” of a driver box. These are the surfaces in which the shoes and wedges ride against. 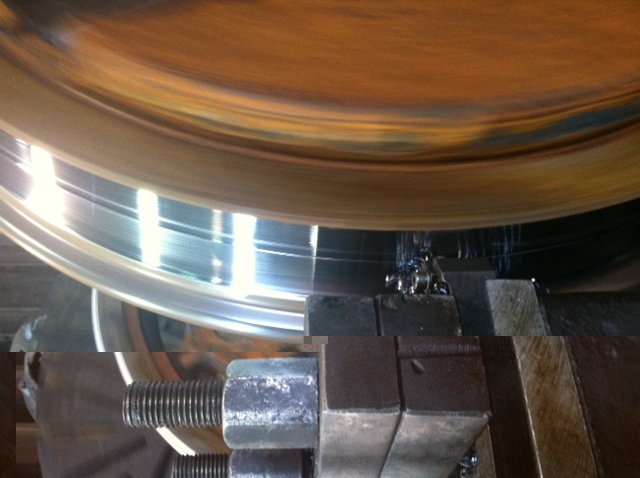 Machining the grease grooves in the crown brasses. December 22 we were back at work in Independence. A warmer than normal December day allowed us to make good progress. After having had removed it one more time for the FRA, the throttle was once again (and hopefully for the last time) re-installed. Perhaps the most exciting thing was that after numerous fittings and adjustments the second water glass was finally finished! This project really turned out nice. With all the machine work in fittings and valves, and acquiring the second water glass, this little project cost in total about $2000 dollars. 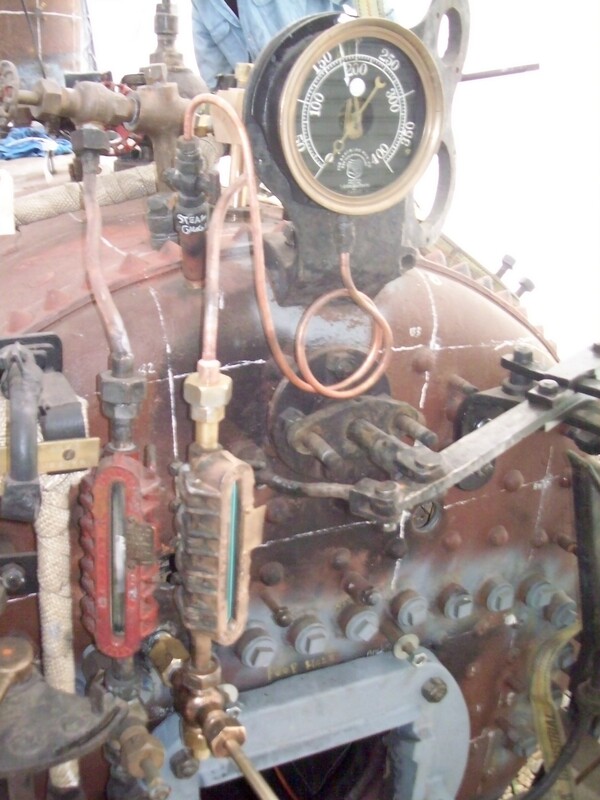 With the completion of some other little projects such as a new steam gauge line and lapping and installing the new engineers side boiler check, we are coming down the home stretch of sealing up the boiler! With half of us working on the smaller items, the rest worked on cutting and installing the remaining tubes. 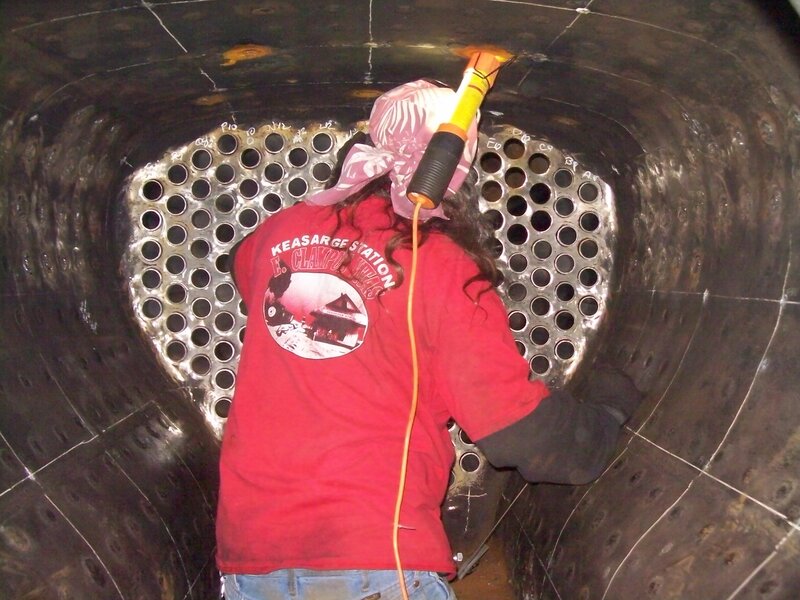 In all, about 70 tubes were cut and put in the boiler by the end of the day, which means all of the tubes are cut to length and in place! Next up is to install the copper ferrels and roll the tubes in place. Dave and Dave slide tubes in place. 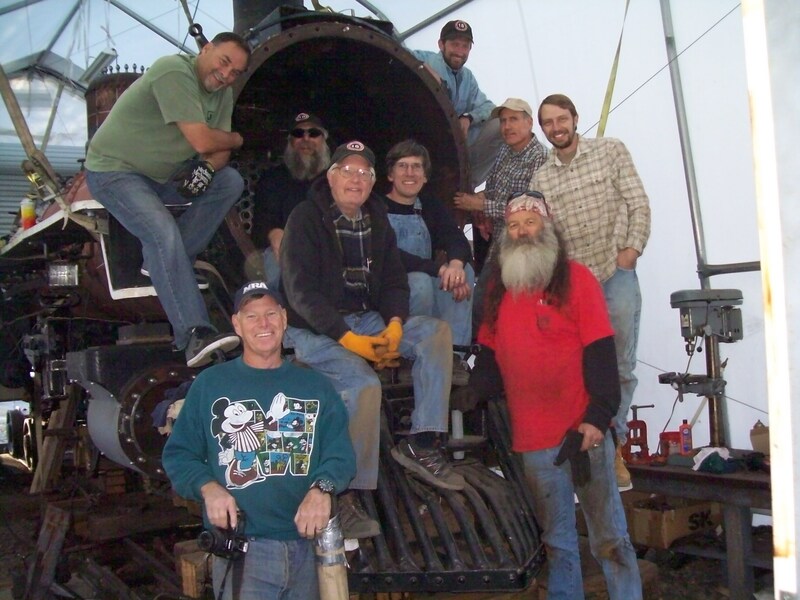 Rick Cromer (AKA Phil from Duck Dynasty) works the firebox end. 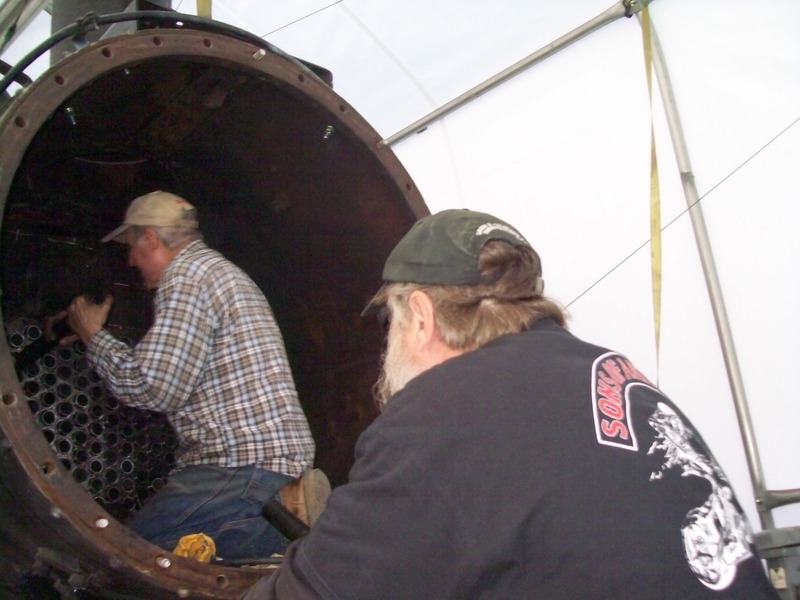 Scott, Larry, and Robbie cut tubes. What a great 12 months of work that has occured on the #18 in 2013, THANK YOU ALL that at one time or another have come up and helped or just supported us with your donations, we couldn’t do it without you. 2014 should be even more exciting in Independence.